This post was guest-blogged by Soccerlens. The English Premier League is one of the most attractive options in the world, not just for top players, but for the top managers in the world. From José Mourinho to Pep Guardiola, these days no ambitious manager considers his CV to be complete without a stint managing one of the big English clubs – and nowadays Manchester City are unquestionably one of those clubs. 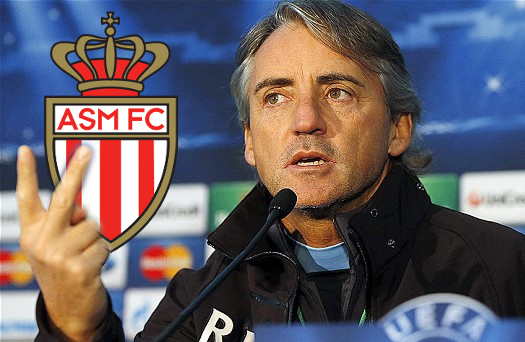 Therefore, the news that current manager Roberto Mancini was seriously considering bailing out of the Etihad towards the end of last season to take a job managing French outfit AS Monaco (who are now in the French second division, no less) is surprising to say the least. As all squad rosters for Euro 2012 have been made official to UEFA, so have Italy’s Group C adversaries: SPAIN, IRELAND, and CROATIA. If you want to find out who Del Bosque, Trapattoni, and Bilic have selected to feature in this Summer’s tournament, look no further! National team coach Cesare Prandelli has made the Azzurri’s roster official, and communicated his list to UEFA. Compared his previous version, the manager has left out Andrea Ranocchia and Mattia Destro. Doubts remain on the eligibility of Leonardo Bonucci, currently under investigation in the massive betting scandal surrounding Italian soccer this week. The list also made the squad numbers for the final phase of the tournament official. Cesare Prandelli trimmed down his squad list from 32 to 25 players for the friendly against Luxembourg on Tuesday evening at Stadio Tardini of Parma. Those that didn’t “make the cut” are goalkeeper Viviano, defenders Astori, Bocchetti, Criscito, and midfielders Cigarini, Schelotto, Verratti. 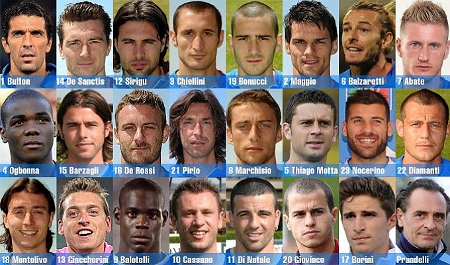 The official list with the names of the 23 players selected for the final phase of Euro 2012, as per UEFA regulations, will be communicated by the FIGC at noon on Tuesday 29 May. 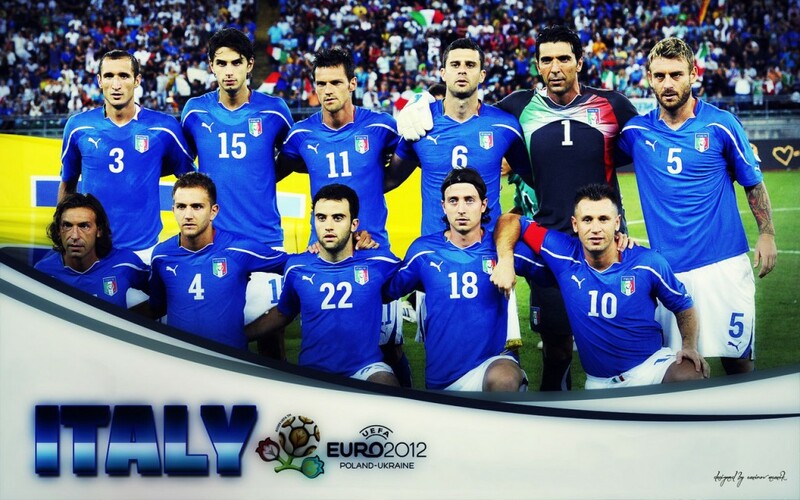 As I mentioned before, I am not entirely convinced at the Azzurri’s chances of success at Euro 2012. 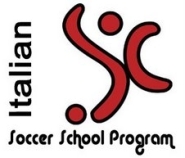 The squad has not enthused me during their qualifying campaign and although they retrieved Antonio Cassano from injury, the absence of Giuseppe Rossi coupled with the unpredictability of Mario Balotelli and still relative inexperience of Sebastian Giovinco makes me doubt the goalscoring efficiency of Italy’s strikeforce. Other forward alternatives, as taken from Prandelli’s preliminary list of 32, don’t necessarily set my mind to ease either. That said, in the case you’re still willing to place a football bet on Italy’s gold medal, perhaps you’ll be buoyed by words from the man himsef, as the National Team coach defends the choices (as preliminary as they might be) of his player call-ups for this Summer’s tournament.